Located in Robinson Performance Hall. The box office is also open 1.5 hours before the performance time. The 2,608 seat Robinson Center Music Hall is the largest and greatest attended performing arts venue in Central Arkansas. It contains an exhibition hall, meeting rooms and a performance theater. Physically attached to the DoubleTree hotel, Robinson Center is home to the Arkansas Symphony Orchestra and Broadway shows, and also a great place for corporate presentations, special events and group meetings. 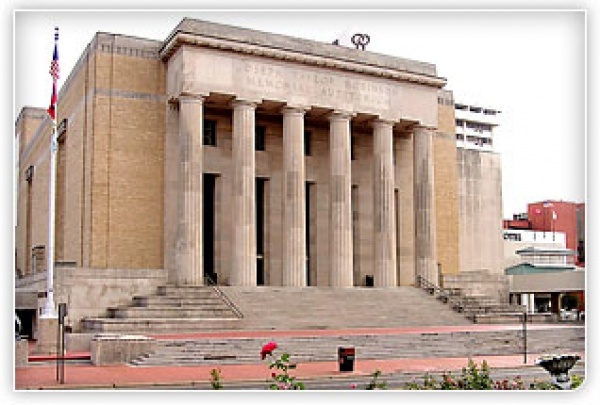 Robinson Center Music Hall is located in Downtown Little Rock at the intersection of Broadway and West Markham street. Take Exit at Broadway off 1-630 toward North Broadway, drive all the way until the intersection of West Markham. Robinson Center is at the right side of Broadway. A 600-space parking deck in the River Market at 2nd & Commerce Streets. There are also many meter parking on the street. Recommended hotels: DoubleTree Hotel; Peabody Hotel; Capitol Hotel. There are many restaurants in the Market Place, which is a few blocks east from Robinson Center.